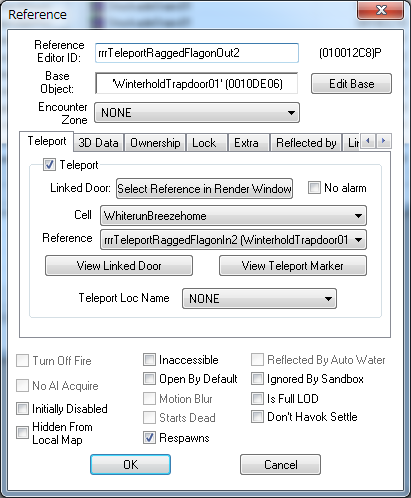 Add a teleporter to Breezehome. 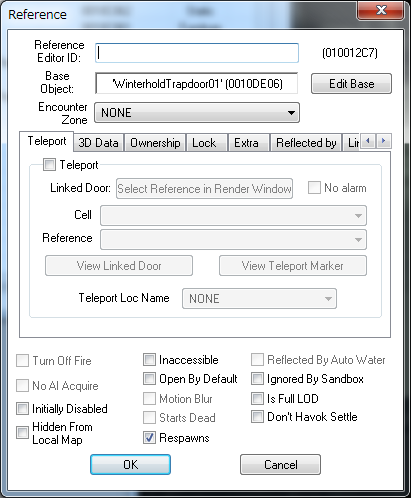 Click "Interiors" from [World Space] in the [Cell View] window. Search "WhiterunBreezehome" from the list. Double-click "WhiterunBreezehome" from the list view on the left. 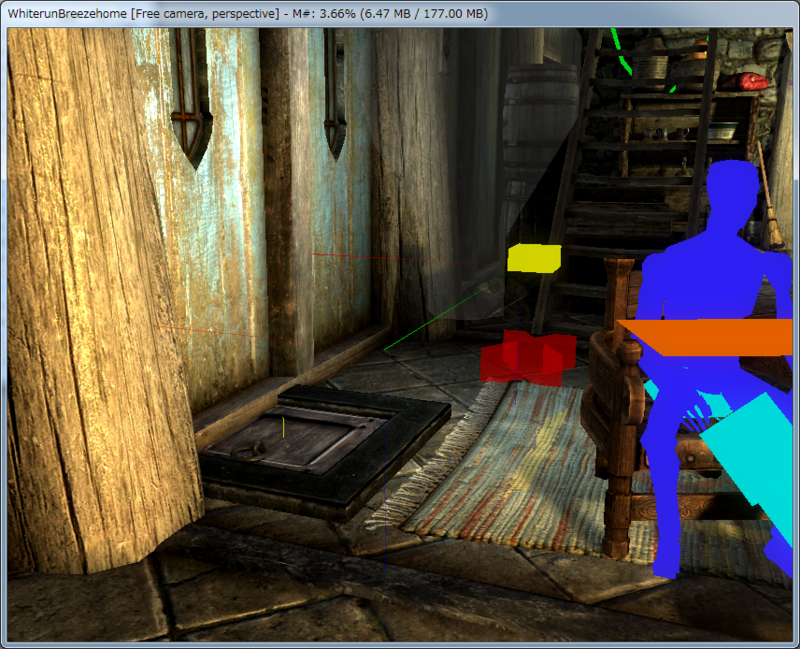 Operate [Render Window] to find the place to place Trap Door. 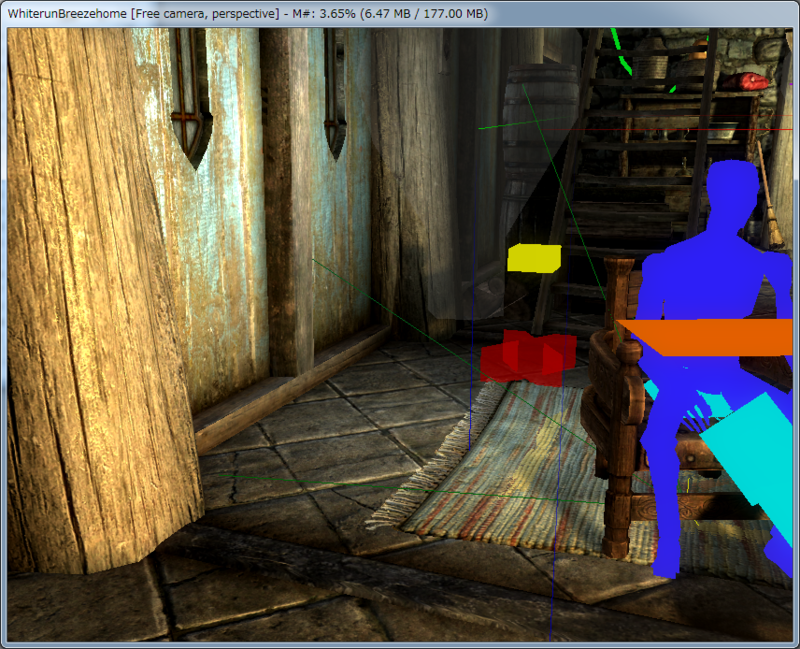 The points of operation of [Render Window] are as follows. 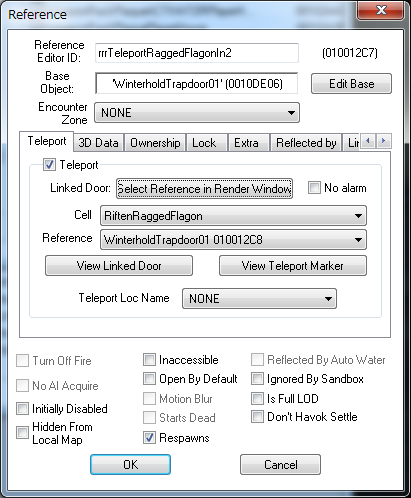 In [Object Window] [Filter], enter "TrapDoor" and click [*All]. From the list view on the right side of [Object Window], drag & drop "WinterholdTrapdoor01" to [Render Window]. Search "RiftenRaggedFlagon" from the list in the [Cell View] window. 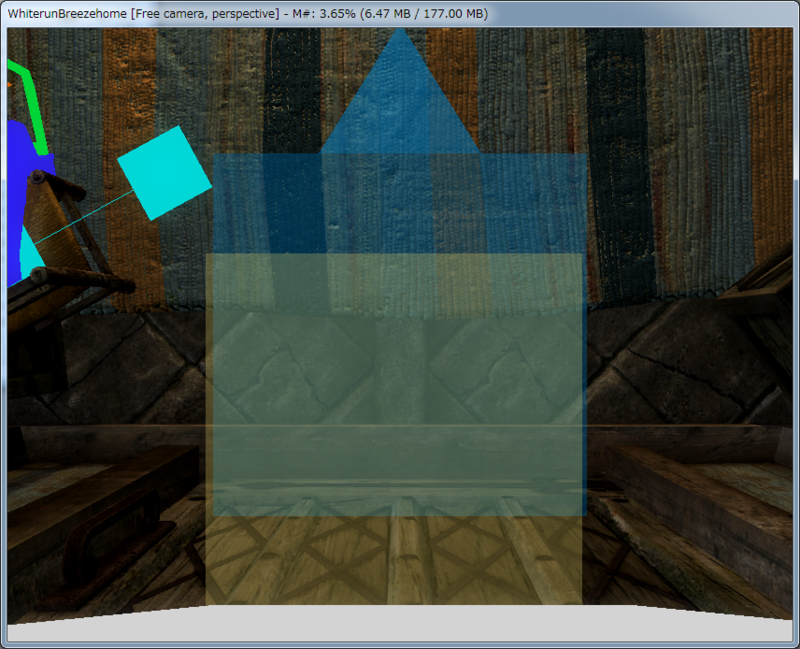 Move the previously placed TrapDoor and place it in front of it. 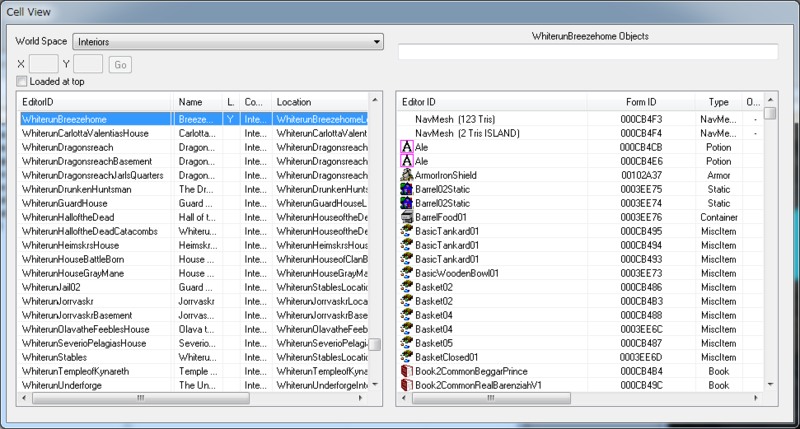 Search "WhiterunBreezehome" from the list in the [Cell View] window. Right-click the item added in [Cell View], and click Edit from the context menu. 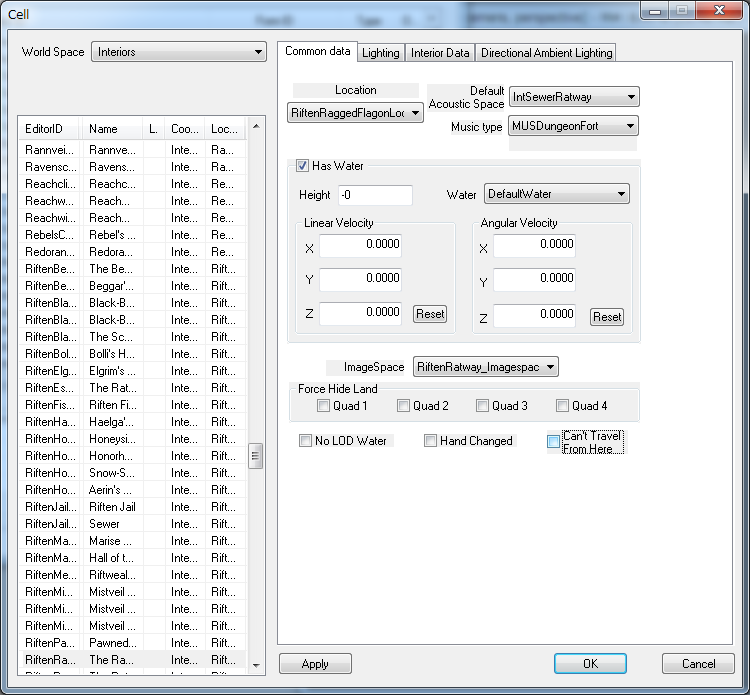 Enter name in [Reference Editor ID:]. 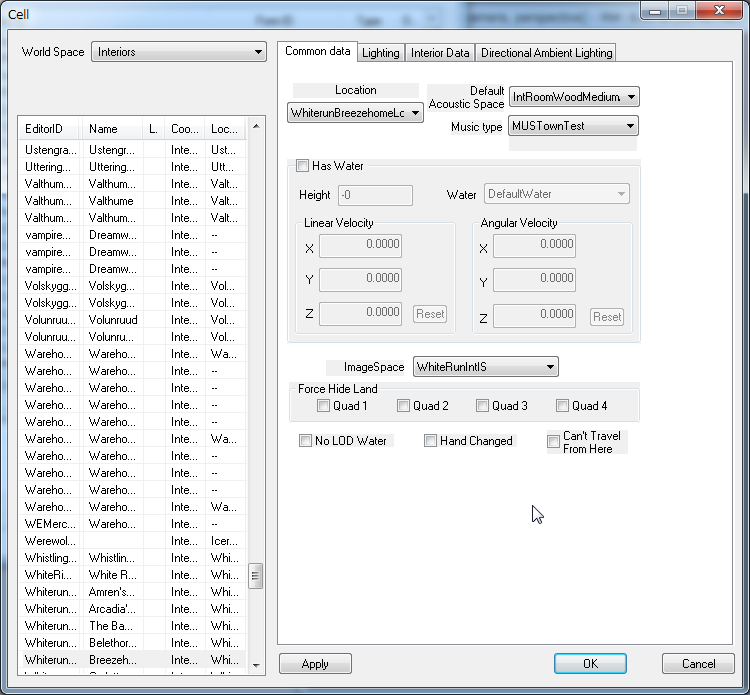 Click the [Select Reference in Render Window] button. 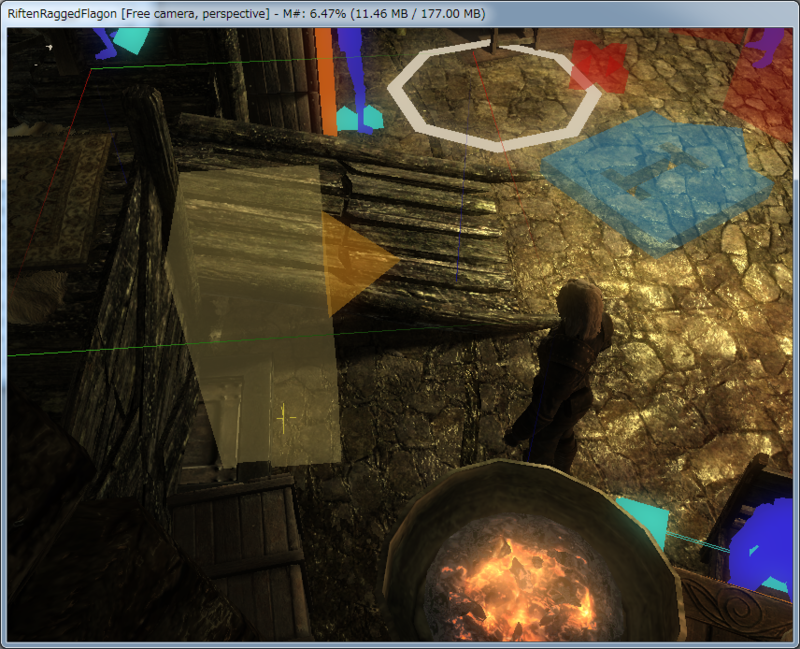 Then double click on TrapDoor Arrangement in Ragged Flagon displayed in [Render Window]. 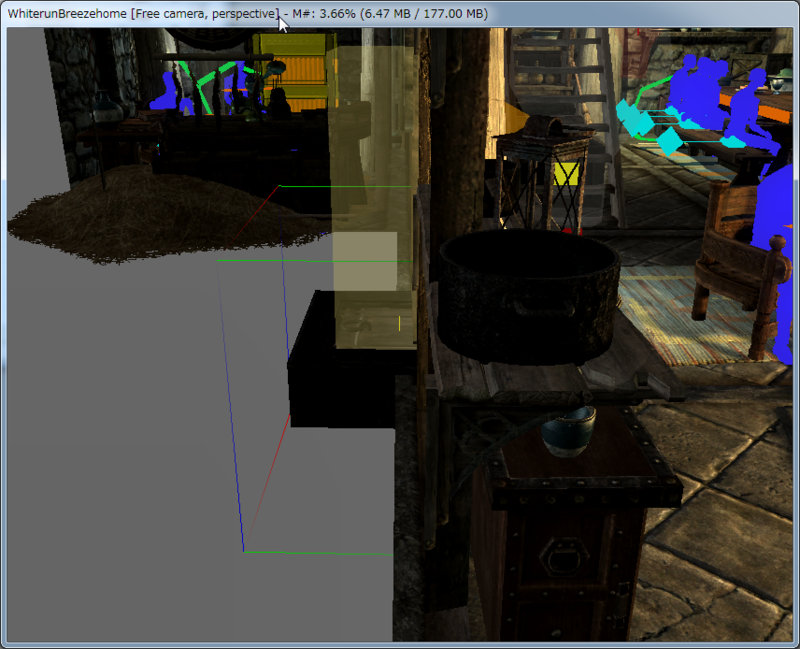 Also edit the contents of RaggedFlagon side. 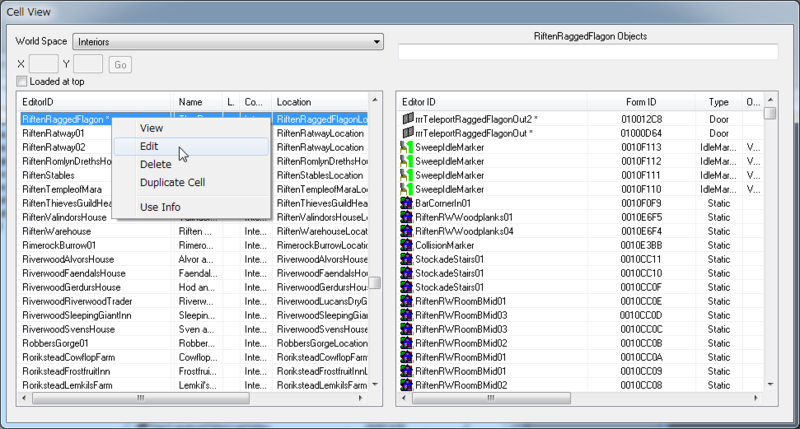 Right-click the "RiftenRaggedFlagon" in [Cell View], and click [Edit] from the context menu. Click [Can not move from here] in the [Cell] window to uncheck it. Together, set "WhiterunBreezehome" in the same way. 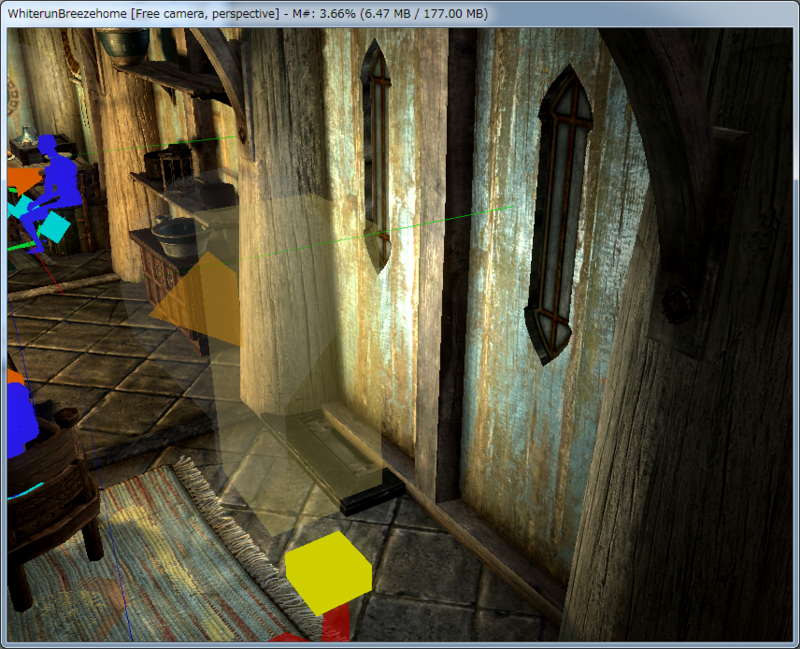 I added TrapDoor to Breezehome, but I arranged it to embed it in the wall. Therefore, when you move from Ragged Flagon, it will become buried in the wall.